I plead guilty to the fact that when you hear an album from a particular artist, you expect their next album to be pretty much exactly the same and you are a bit disappointed when it’s not. However, I know I’m not the only one. 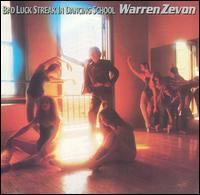 This was the case when I heard this 1980 release from Warren Zevon. 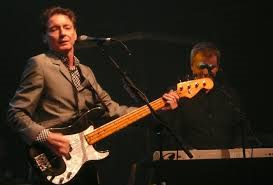 His 1978 album “Excitable Boy” had me rolling on the floor in stiches with songs like “Excitable Boy” and “Lawyers, Guns and Money.” Even the hit single “Werewolves of London” deeply amused me. However, I can’t say the same with “Bad Luck Streak in Dancing School.” None of the songs had me laughing the same way and maybe that was a good thing. I now appreciate how good of a musician Warren Zevon actually is. Okay, so the album wasn’t as hilarious as its predecessor. The most amusing songs on the album are “Jeannie Needs a Shooter” (co written with Bruce Springsteen) and “Gorilla, You’re a Desperado” and then there’s the song “Play It All Night Long” which satirizes the famous Lynyrd Skynyrd tune “Sweet Home Alabama.” The rest of the album just contains some decent songs which are still enjoyable to listen to. It leaves me to conclude that Warren Zevon never got the recognition he deserved for his talents as a singer, musician and song writer. Furthermore, he puts a good band behind him and there are contributions on the album from Jackson Browne, Linda Ronstadt, Glen Frey, Don Henley, Don Felder and Joe Walsh to name a few. If you fancy a listen to a decent light hearted rock album, than this one is a sure thing. There are some amusing moments on it with some good songs to get into. I know, I’ll be checking out more of Warren Zevon’s work in the future. When I first heard the first single from this great album by Tom Petty and the Heartbreakers, “Don’t Do Me Like That,” I was convinced that whoever called this band “punk” back in 1978 was a complete and utter moron whose idea of hard rock was probably Hall and Oates. 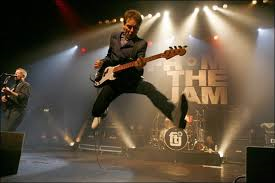 “Damn the Torpedoes” proved to me that they were a good tight rocking outfit, not that there’s anything wrong with punk because there isn’t. I just found the album very enjoyable. It is true that “Don’t Do Me Like That” was the song that first properly turned my head to this band and this album but “Damn the Torpedoes” does contain my all time favourite song by these guys, “Refugee.” As always, the album isn’t just down to the singles although I do like their third single from this album, “Here Comes My Girl.” There some killer tracks on here as well like “Century City” and “What You Doin’ In My Life” to name just two. All of them have that trademark that made Tom Petty and the Heartbreakers famous. I have always been of the mind that as a unit, the Heartbreakers have been severely underrated as a band. It is true that Tom Petty is the front man and you can’t take anything away from his talents, but the rest of the band seems to have been largely ignored and that to me is a shame. 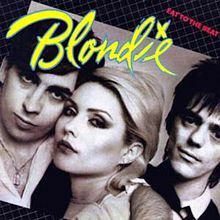 Have a listen to this classic album and you’ll see what I mean. 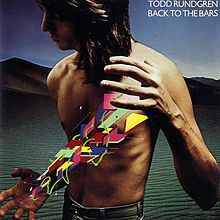 For Todd Rundgren fans and novices, this album is a good way to reminisce or explore the mid seventies period of Todd Rundgren with some classic songs. Now, one or two people have said that he isn’t too good live, but listening to this album, I can’t agree with that sentiment. 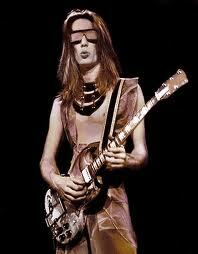 If Todd Rundgren isn’t in the Rock Hall of Fame, then it’s just another proof that the people who run that institution are just plain idiots. 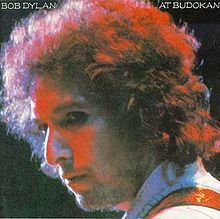 When “At Budokan” was released, Dylan had some harsh reviews from critics and Dylan purists alike. Critics, like Rolling Stone said the album was slick and sterile while some purists accused him of selling out. This album was not a sell out for me. 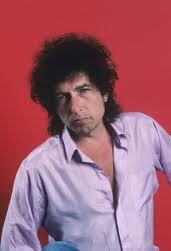 See, if Dylan wanted to sell out back in 1979, he would have put a disco beat in all of his songs. That would have been a sell out! To me, like I said above, this is a good and sometimes alternative listen to some classic Dylan tunes and there is nothing I dislike about it. This album would be the last before Bob Dylan’s conversion to Christianity but that’s a story for further down the road in 1979. For me, this album is a great way to reminisce over many of the great classics of Bob Dylan. You are currently browsing the archives for the 1978 category.